Its always enjoyable to do a neck graft….its a fascinating mixture of old and new. 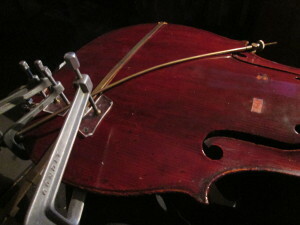 Old instruments need a neck graft for a variety of reasons – old necks were shorter than they are today -they were set at a lower angle – they wear from playing by the hand eroding the wood etc. In this case the old neck was too short and set too low. 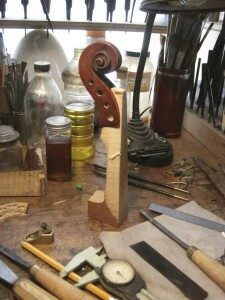 Once the scroll is glued to the graft – the pegbox is chiseled out – the fingerboard is glued on and the neck stock is prepared to set into the corpus of the violin. When the varnish is restored it should look as if nothing has happened …and this fine, old French violin will perform better than ever…. An interesting instance of the collaborative nature of the many hands that enable an old instrument to have a long vibrant life. 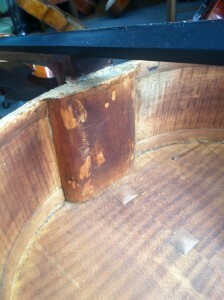 The elegant scroll shows the gorgeous, deep red varnish and dramatic crackle worthy of the Vuilluame legacy. 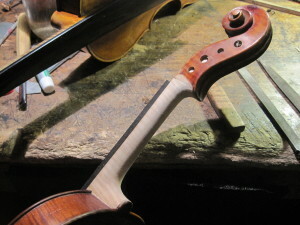 The original ( rather skimpy) top block shows a rather shallow neck set and the characteristic French way of having a low overstand and sharp angle to achieve the right projection. Yearly hiking trips out west! 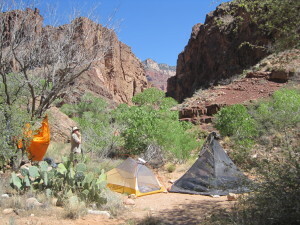 Every year I go out west with 4 friends and do a week long hiking trip in some beautiful, rugged mountainous spot. 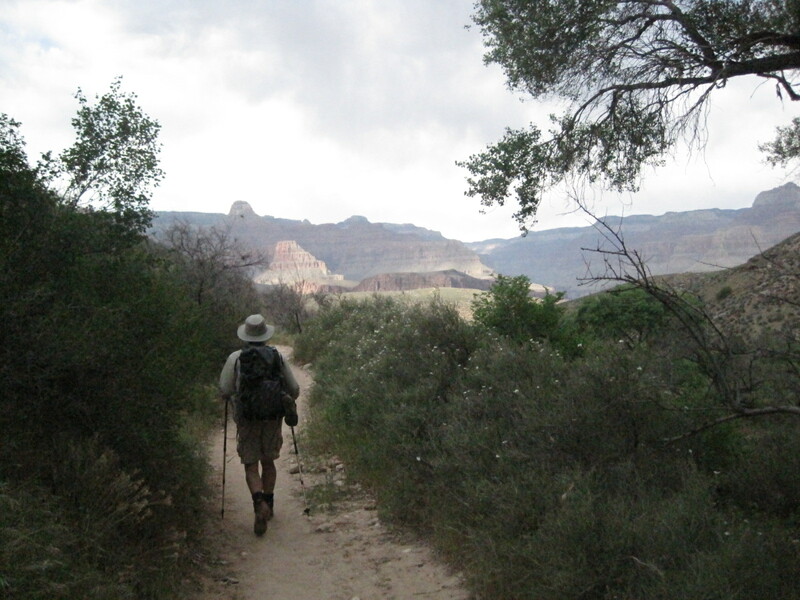 I love living in the heart of a big city…but… it sure makes you enjoy getting out of it. 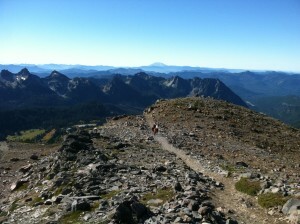 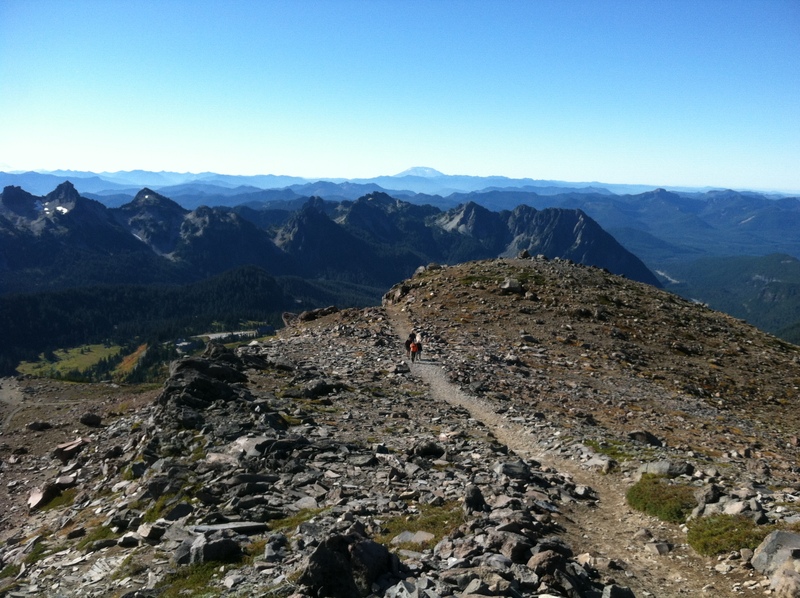 This years trip was to the Mt Ranier area of the Cascade mountains….breathtaking hiking above the tree line. 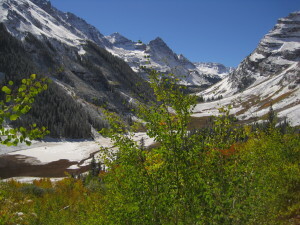 Last years trip was to the Aspen area of the Rockies in the fall just as the snow was starting to build . 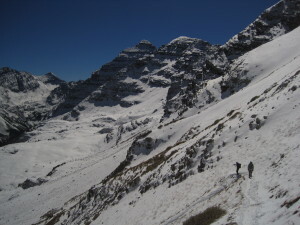 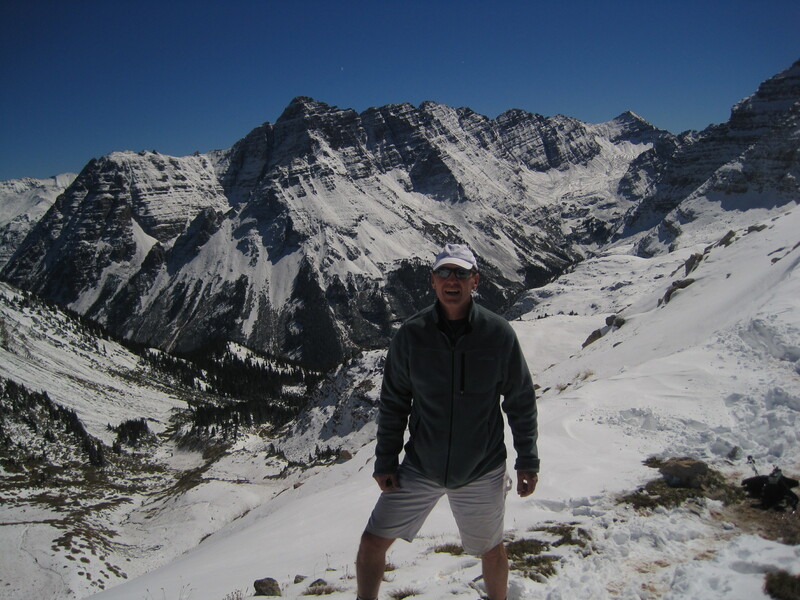 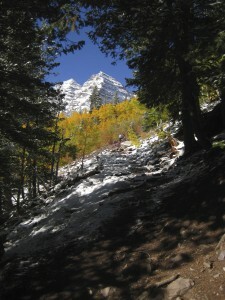 Great climbing around the famous ” maroon bells” – and the Continental D ivide. 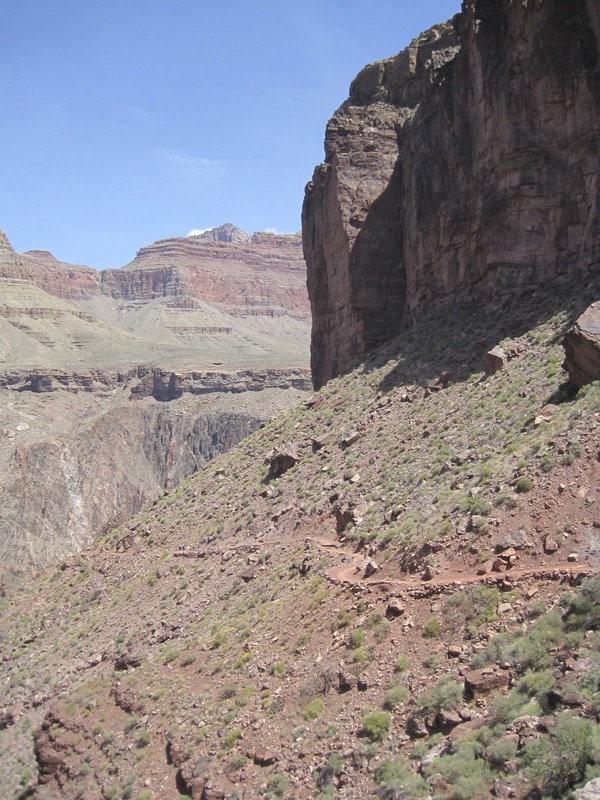 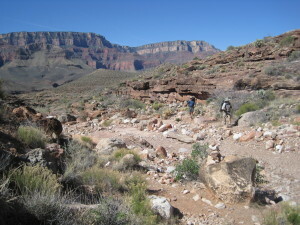 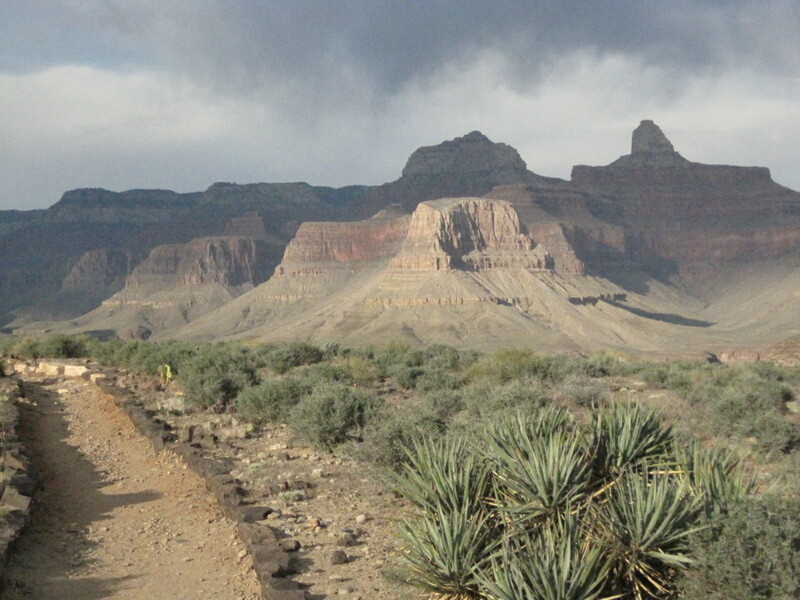 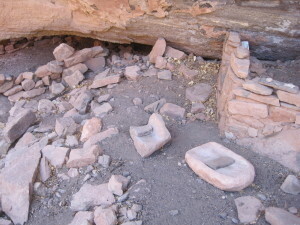 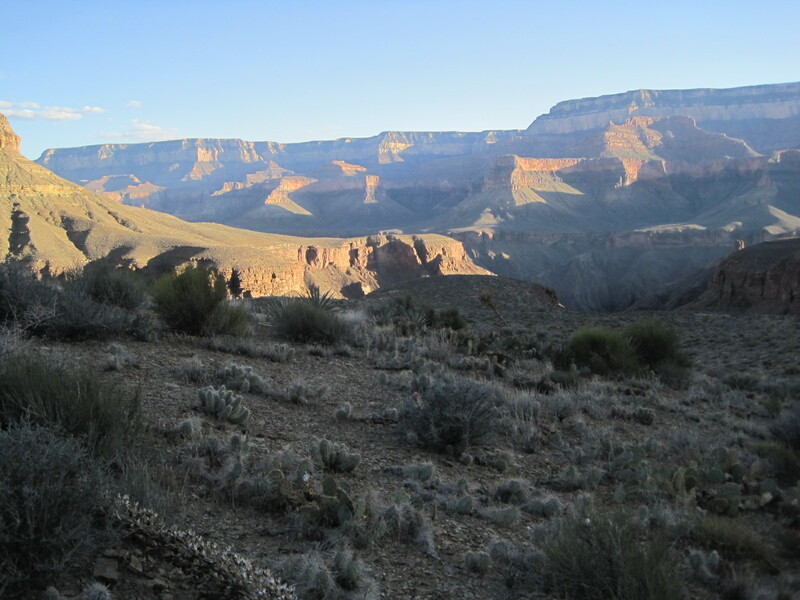 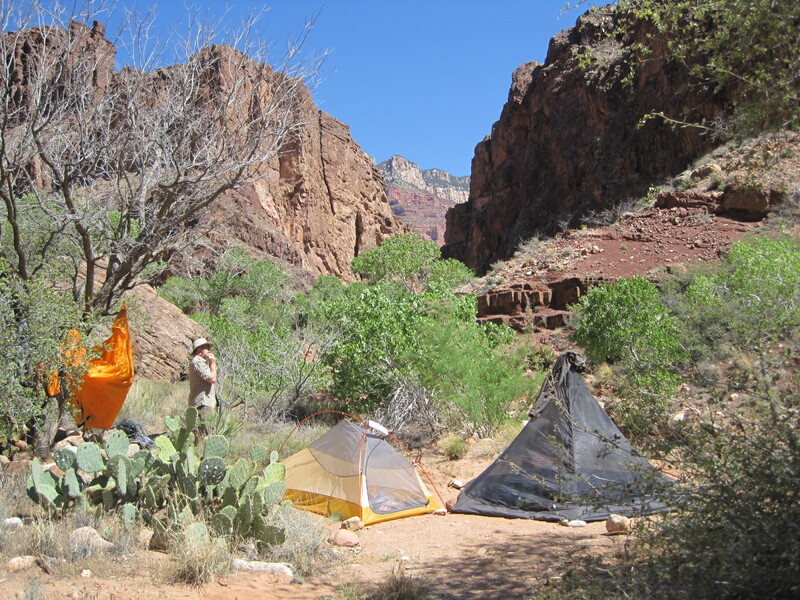 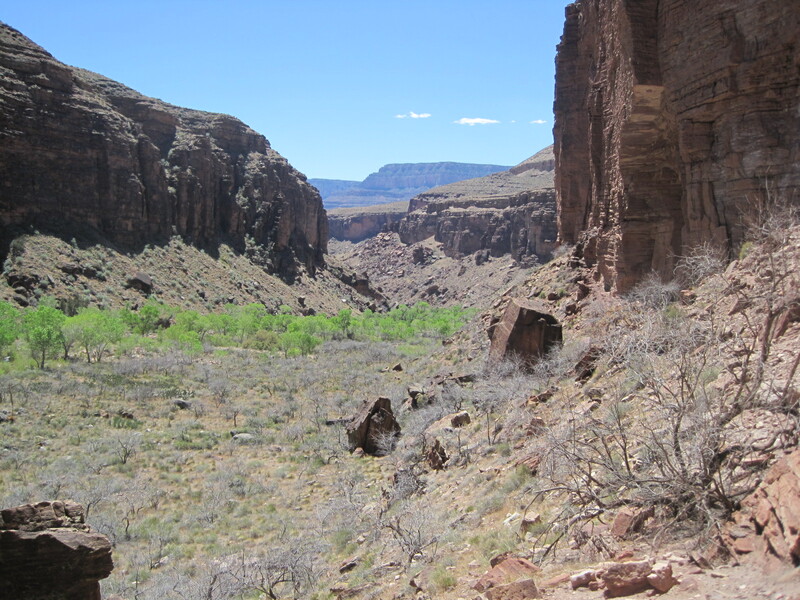 The year before that was an unforgettable backpacki ng trip through the Grand Canyon…whiuch included an all day hike out to Clear Creek canyon to see an Indian farming settlement dating back a thousand years -where there is still evidence of their stone tools . 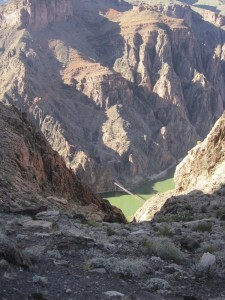 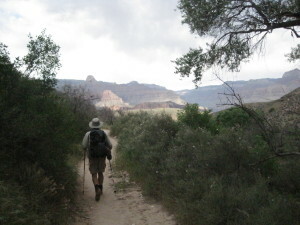 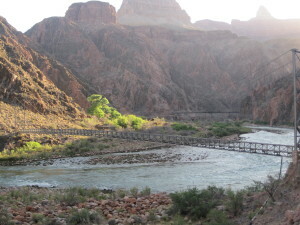 I’ll never forget crossing the Colorado river on the long foot bridge at dawn as we began our hike out of the canyon. 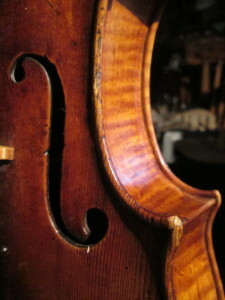 This fine violin is the first violin in a prominent quartet . 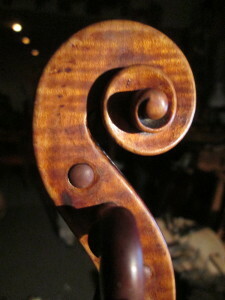 It has the beautiful grace and delicacy of line that we always admire in the Amati workmanship. 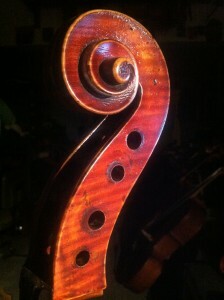 The sculptural arching of the top and back have an organic power that you often see copied in an antiseptic ,anemic fashion . The finely wrought scroll has the sharp clarity and living feel of a work of nature. 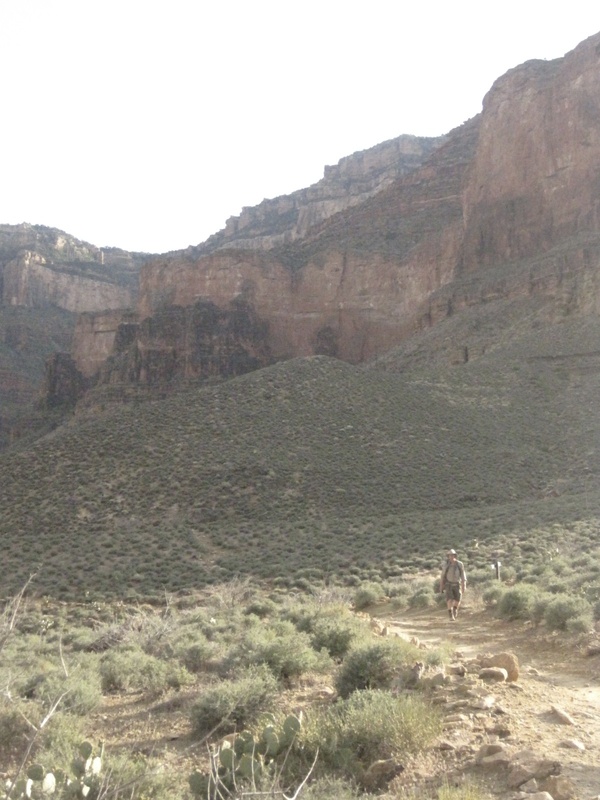 The bold F hole has a remarkable sinuous power for something so curvy and delicate. Another testament to this instruments ageless quality is the fact that it still has the Wurlitzer bridge on it that has been on for probably 50 years! 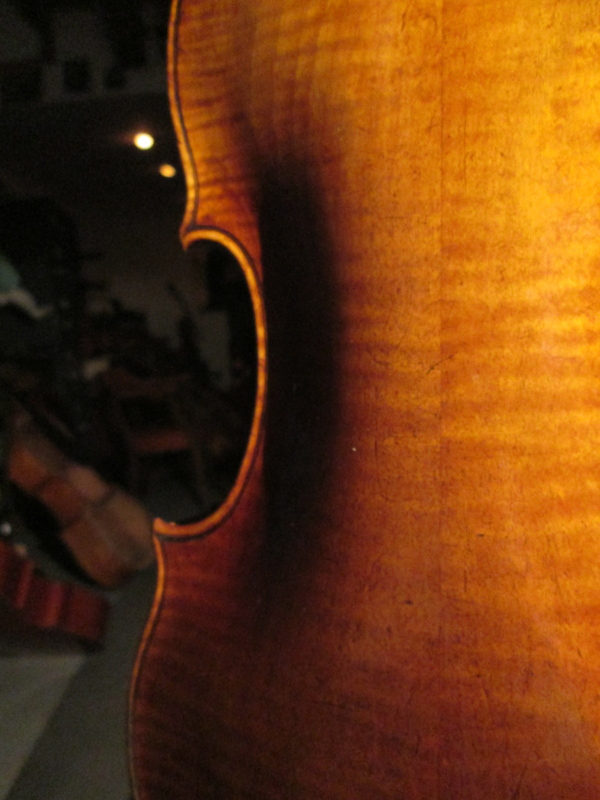 Its always satisfying working on an instrument like this….something made in Cremona when Stradivari was a young man….and though the legend of him working in the Amati shop has been called into question…its a great story to think this could have been made in the shop when he was there….and maybe even had his hands on it and studied it as an example of violin making at its very best.